"One of the most famous days in Pat's history had nothing to do with winning a league title. The regular keeper was unavailable one weekend; somebody was inspired to sign Gordon Banks for the game. The World Cup hero had lost the sight of an eye in a road accident and had no regular job. He wasn't seriously examined until about five minutes from the end, as Shamrock Rovers desperately sought an equaliser. Then a rising shot from twenty yards seemed certain to send the ball into his top right-hand corner. Gordon made a great leap and turned it outside. It was just what the crowd needed to give him a rapturous ovation at the end. " 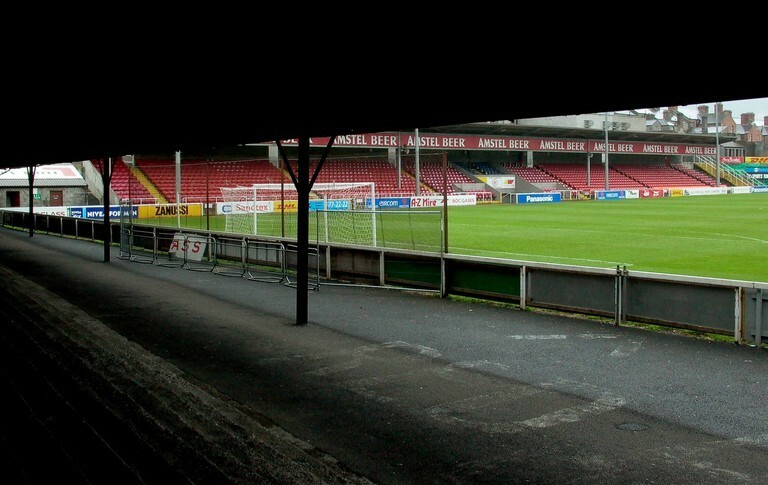 Con Houlihan, the Triumphs and Tribulations of St Patrick's Athletic. 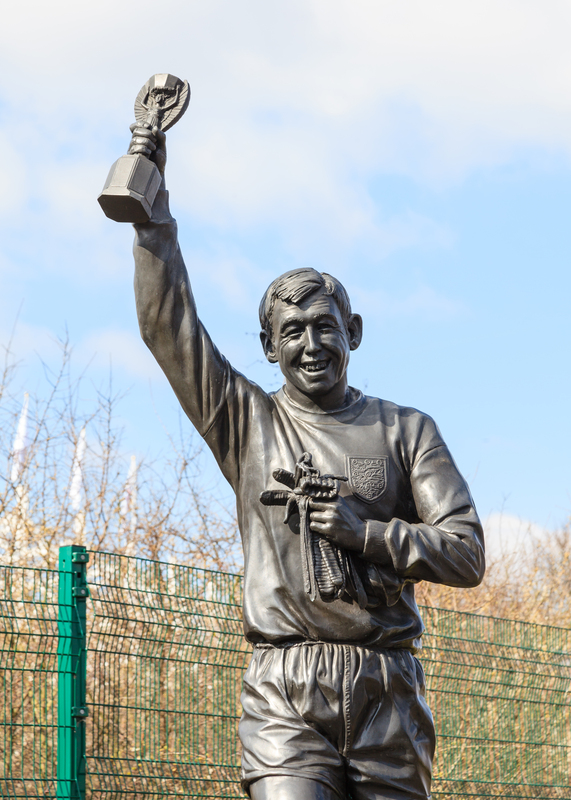 In October 1977, five years after he lost an eye in a car accident, a 40-year-old Gordon Banks disembarked on Irish shores to represent St Patrick's Athletic in a Dublin derby versus Shamrock Rovers. Banks has many claims to fame. The Englishman won a World Cup in 1966. He made a superb save which denied Pelé at the 1970 World Cup finals that was described as 'the greatest save of all time.' He was named FIFA goalkeeper of the year six times and on a crisp Autumn's day in Inchicore, he denied an Eamon Dunphy volley and potential equaliser with a wonder save. The highlight of Banks career was the Wembley Stadium success in '66 but it certainly did not feel that way at the time. The team they beat, West Germany, were given £10,000 each and a Volkswagen car by their governing body. Banks was given £1,000 and a raincoat. The need to ease a mortgage and partake in some well-earned holidays saw Banks eventually sell his medal and cap. After his eye injury, he returned and played part-time for the Fort Lauderdale Strikers, having left Stoke City in '73. Yet he did tog out for one other team. He was semi-retired out in the United States, before he went Barry Bridges was in charge of St. Pats. There was a 50/50 chance Gordon Banks was going to play one game on the 2nd October 1977 against arch-rivals Rovers. Bridges mentioned to the groundsman at the time, Harry Boland, that there was a phone call going to be coming into the ground and he didn't say who it was from. That night, the St. Pats players were training at Richmond Park and obviously Barry was out on the pitch. Harry was making the tea down in the dressing room and he heard the phone ringing upstairs. So off he goes to the top of 125 on Emmett road. Just as he reached the phone it stops. So off he goes back downstairs again, and once he gets down there it rings again. Second time gets to phone stops. So this time he is thinking it is lads messing up in the Black Lion pub because there was history with that. The third time he made it, got to the phone picked up the phone and it said 'I'm Gordan Banks, I'm looking to speak to Barry Bridges.' I won't use the expletives that Harry Boland said to Gordon Banks on the phone, but he thought it was a wind-up and slammed the phone. So Barry Bridges finishes training and asks 'any phone calls?' 'Well there was one but it was the lads up in the Black Lion messing saying it was Gordon Banks on the phone.' I'm sure Barry Bridges used a few expletives then! Conan Byrne, St Patrick's Athletic player on the Greatest League in the World Podcast. Eventually, Banks was granted clearance by the American F.A. and he graced Richmond Park. The appearance was all the more remarkable given Banks had lost his sight out of one eye. It occurred while he was still at Stoke City. Driving home from a physio session on his injured shoulder, Banks lost control of his car and crashed. He received 200 stitches in his face and over 100 micro-stitches inside the socket of his right eye, and eventually lost binocular vision. "At the back of my mind was the fear that I would make a fool of myself. After all, how many one-eyed goalkeepers have you come across? Thankfully, nothing could have been further from the truth. I coped well with the flight and speed of the ball. My reactions were good and I was pleased with my general levels of fitness. " Then it happened. 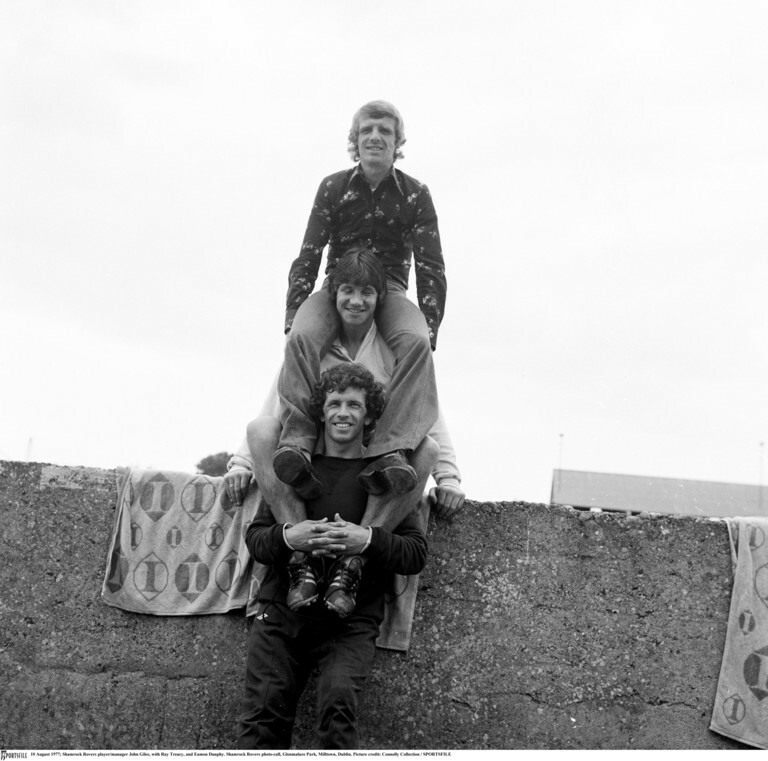 A floated ball forward broke the way of 32-year-old Eamon Dunphy, who had just returned from England with Johnny Giles that year. A sweet left-footed volley that was 'well-worth a goal', according to Jones, looked destined for the top right corner until Banks hurdled across the goal and diverted it out for a corner. I decided to hang up my boots for good. I had overcome what had undoubtedly been the greatest challenge of my life. I had played football again and at a very good standard. My disability had not beaten me.